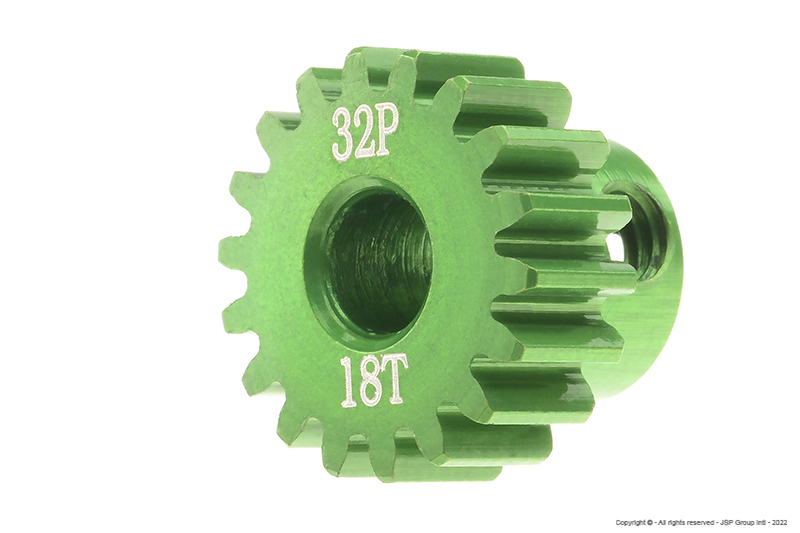 7075 T6 32 PITCH 18 TOOTH ALUMINUM PINION FOR 5MM MOTOR SHAFT. CLEAR ANODIZED. GIANT SET SCREW.